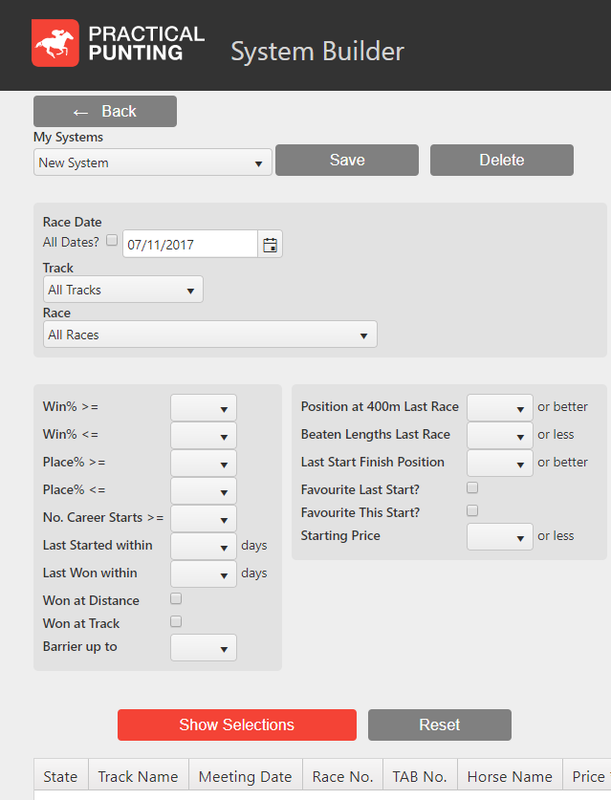 Now you can create your own horse racing Systems to help you find more winners! The Practical Punting System Builder enables you to quickly sort the horses running today that meet the form factors that you select. It's easy! Simply select the form factors you wish to apply. Click ‘Show Selections’ and the System Builder displays the list of horses that match your criteria. You can then save your system for re-use, or create a different one.